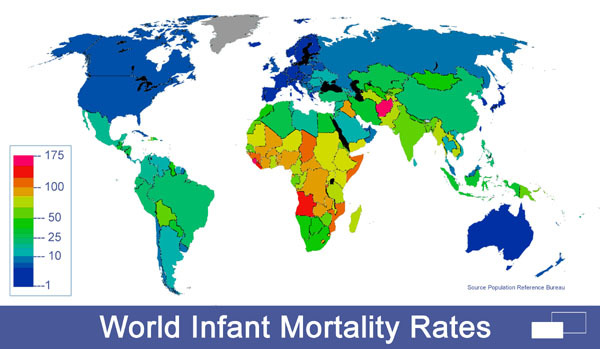 Infant mortality is defined as the number of infant deaths (one year of age or younger) per 1000 live births. Traditionally, the most common cause worldwide was dehydration from diarrhea. However, the spreading information about Oral Rehydration Solution (a mixture of salts, sugar, and water) to mothers around the world has decreased the rate of children dying from dehydration. Currently, the most common cause is pneumonia. Other causes of infant mortality include: malnutrition, malaria, congenital malformation, infection and SIDS. Infanticide, child abuse, child abandonment, and neglect also contribute to a lesser extent.